WRAP (Worldwide Responsible Accredited Production) - a very important organisation to Pier 32 in our efforts to make sure that we bring our customers ethically produced clothing - announced its support for Earth Day (tomorrow, 22nd April) by offering all its staff members a half-day leave to work on the environmental project of their choice. "In our constant communication with facility owners, buyers, trade associations, governments, labour leaders, relevant NGOs and consumers, it is clear that the term 'sustainability' for the environment and the planet means action by us all", WRAP's President and CEO, Steve Jesseph said. "To support Earth Day, our offices will close at noon, April 22, to allow all staff members to work on the environmental project of their choice. We encourage all WRAP-certified facilities, and all those with a concern for the environment, to actively support Earth Day 2009." 1. A carbon-free future based on renewable energy that will end our common dependency on fossil fuels, including coal. 2. An individual's commitment to responsible, sustainable consumption. 3. Creation of a new green economy that lifts people out of poverty by creating millions of quality green jobs and transforms the global education system into a green one. Want to know more about Earth Day? Meanwhile, in looking at this news on the WRAP website we also noted that WRAP is developing an enhanced environmental program called "WRAPe" scheduled to launch this year. We look forward to being able to report more. 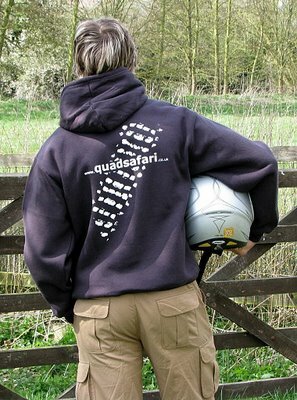 We've featured many of our clients that use our clothing to promote events, but here's something a little different in that Quad Safari not only kit out their own people with Hoodies and T-Shirts supplied by Pier 32 but also sell them on to the public as fashion clothing. 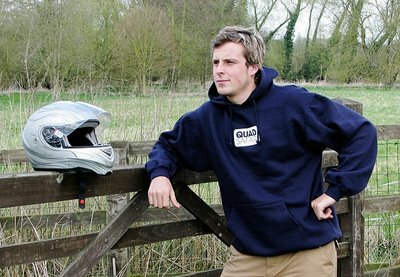 Quad Safari sell their clothing on their site and through their online shop. Visit the shop to see the huge importance placed on the fact that these garments are manufactured by Starworld in Egypt to the exacting WRAP (Worldwide Responsible Accredited Production) standards. The clothing's environmental credentials with Oeko-Tex 100 certification are also very important. "Pier 32 has been great to work with; everything from the help in designing the artwork, to delivering on time, they have been professional from start to finish. Quad Safari chose Pier 32 above the rest, because we demand high quality garments that are hard wearing, affordable and ethically sourced. 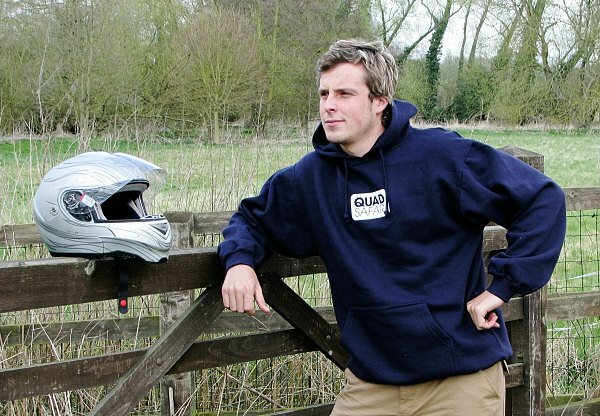 The Starworld clothing is considerably better quality than other personalised clothing that you see." If you, like Quad Safari, want people to go on wearing the clothing because of the promotional benefit it brings then we think that our design service is just what you need helping to turn a potential promotional throwaway into something that you'd want to wear again and again. With the WRAP and Oeko-Tex certifications, and their hard wearing characteristics, Starworld garments also provide that all important "keep me, I'm special" feeling that you get when you are given or buy something with a little more value than the crowd. Quad Safari are happy that they are getting clothing that will be of long term promotional benefit to them; contact us at Pier 32 to find out how we can help you. With our background supplying a range of charities and groups such as Stop the War Coalition, Global Justice and Student Action for Refugees, it was no surprise when we were approached by the Met Police for advice on the best clothing to wear to police today's demonstrations in the City of London to coincide with the G20 global summit. The brief was simple - to come up with clothing that would minimise the risk of violence so that the whole day would go off as peacefully as possible. It's a fair cop - Fair Trade Now! We also suggested that as many of the protesters would be carrying flowers, the police should carry daffodils rather than truncheons. Those of you looking at the scenes today can see our disappointment that our idea did not get carried through. But they did nick some of our ideas! At the time of writing there is no sign of riot gear and all the police are wearing fluorescent yellow! But we don't mind, right now things are relatively peaceful - and let's hope it stays that way.